Question: My eight month old wakes up every hour during his day nap and night both. And he doesn't go back to sleep until i feed him. I don't think that he gets hungry so soon. I try to make him sleep again by singing,rocking etc. but it doesn't work most of the times . Then i need to feed him finally after doing all this. And he takes his feed just for 5 min. or sometimes for a minute only.My husband has tried many times to make him sleep but he couldn't. I change his diaper just before going to bed but his diaper gets full every 2-3 hours due to his frequent feeding then i need to change it.I know that he is having 1 hour sleep cycle so i try to pat him before completion of his cycle still he gets up and starts crying for his feed desperately. 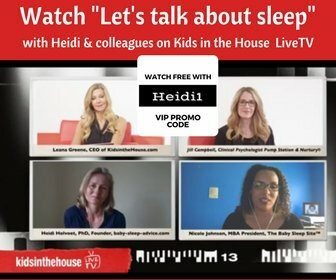 Heidi's Answer: Hi Shailja, The best step to take will be to set up a feeding schedule for him, in particular for nights. I'm sure you have regular feeding moments during the day, a mix of milk and solids, which is of course good. But feeding him too frequently at night is not that good, even if it seems to be the only thing that soothes him. It's OK to, for now, have 1 to 2 night feedings or 2 to 3 at maximum, but no more. Not only will it keep increasing his hunger feeling and therefore waking at night (or naps) but it's just too much and not healthy. Feed him well during the day. Then plan to feed him a maximum of 3 (at first, later 2) times at night. And schedule them: suppose he goes down for the night at 7pm. Then schedule not to feed at any awakening before 11pm. At 11pm the closes awakening after that: feed him. Do not feed the next time before 3am. And then don't feed until 6am at the earliest. Dilute these feedings a bit more than what you give during the day (so less formula for the same amount of water). In between, soothe and comfort him in any way you can, while he's lying down or else pick him up and hold/rock/sing him to sleep. Always keep lights dim and interact as little as possible. But don't feed other than the scheduled times. To help him sleep for longer stretches, start at naps by taking him out for long walks or rides in the sling or stroller/car. The movement should keep him asleep through to the next cycle. Try to do this at as many naps as possible, it's all about getting his body used to sleeping for longer than an hour. Do it for at least a week or two before expecting the same results in the crib (possibly at first still with you holding or stroking him right before a cycle completes). You will also want to work with the gentle self soothing method to increase his independence when going down. Also do make sure you have a good schedule in place and use a simple recognisable bedtime routine. If you haven't done so recently, have a health check up at the doctor's to exclude any medical troubles. 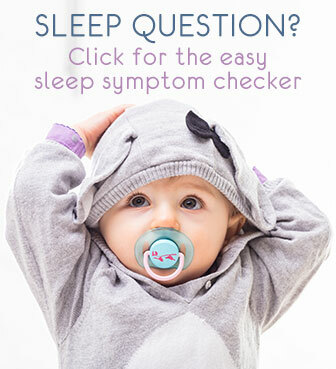 Also look for signs of teething or baby separation anxiety during the day, they may be hidden most of the time, but can play up when sleeping. Once he starts sleeping longer stretches with all the above, we can then start working on gradually reducing the remaining night feedings - by diluting more and more and then weaning those feedings/awakenings one by one. 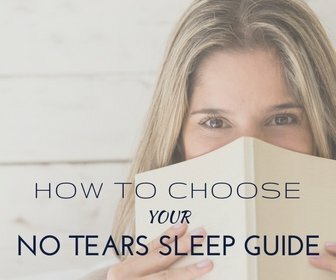 Or you may want to have a look at the dedicated keeping asleep and weaning techniques in my No-Tears Sleeping Through the Night guide.